The second generation of the incredibly popular Qashqai took a major step forward from its predecessor, both in terms of style and in terms of tech. The exterior gained a much more handsome, more overtly-SUV-ish looking body, while underneath there was a new chassis that meant more space in the cabin and boot (albeit some newer rivals have yet larger cargo spaces). The interior also became much more expensive looking and feeling and there was now a big, bright touchscreen in the centre of the dashboard. With seats designed with input from NASA (yes, they really are astronomically comfy) the Qashqai changed from family knockabout to sophisticated machine. No wonder it continues to be one of Ireland’s most popular new cars. Basic XE model Qashqais come with LED daytime running lights, a multi-function steering wheel, electric parking brakes, DAB radio with a USB connection and air conditioning with a pollen filter. SV models get dual-zone climate control, automatic headlights and wipers, 17-inch alloys and front fog lights. SVE models are really luxurious, with leather seats, ‘Safety Shield’ (which includes blind spot warning and driver attention alert) and 19-inch wheels. There’s a choice of two diesel engines — the 1.5 dCi that has impressively low CO2 emissions of 99g/km, and the 1.6 dCi which, despite only being slightly larger, has significantly better performance and still pretty impressive emissions of 116g/km. There are two petrol options: a 1.2-litre turbo and a recently-introduced 1.6-litre turbo with 163hp. Almost every Qashqai you will find on the used market is going to have that 1.5 diesel, which is good from the point of view of economy (you should easily crack 50mpg) and emissions, but less good from a performance perspective. The fact is that you’ll have to work the engine quite hard if you want some decent shove, so it’s well worth upgrading to the 1.6 diesel if you fancy a bit more pep, for very little penalty in terms of emissions and economy. The 1.2 turbo petrol is ideal if you live and mostly drive in town, while the 1.6 petrol is impressively smooth and powerful, but a touch thirsty. It’s best to go for SV or SVE trim, as otherwise the cabin can look a touch too plain. Some 3.3 million owners can’t be wrong. 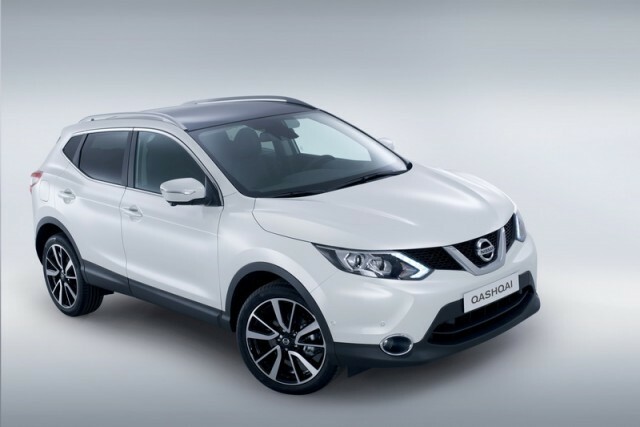 That’s the staggering number of Qashqais that Nissan has sold since the model was first introduced in 2007, and the number continues to climb. Smart to look at and surprisingly agile to drive, it’s also roomy enough inside for a growing family, and (aside from those common cabin rattles and squeaks) has good reliability on its side too.